Your inner ear makes impulses that are sent to your brain where they are recognized as sound. These impulses also control your sense of balance. Conditions that can disrupt these functions include ear infections -- the most common illness among children according to the U.S. National Library of Medicine -- and Meniere's disease, which is characterized by vertigo, or dizziness. Although foods are not known to cause ear conditions, certain foods may trigger or worsen their symptoms. Salty foods are high in sodium, which is a mineral that maintains fluid balance. Consuming too much sodium can offset your inner ear fluid levels, according to the Vestibular Disorders Association, increasing your risk for vertigo and other inner ear problems. 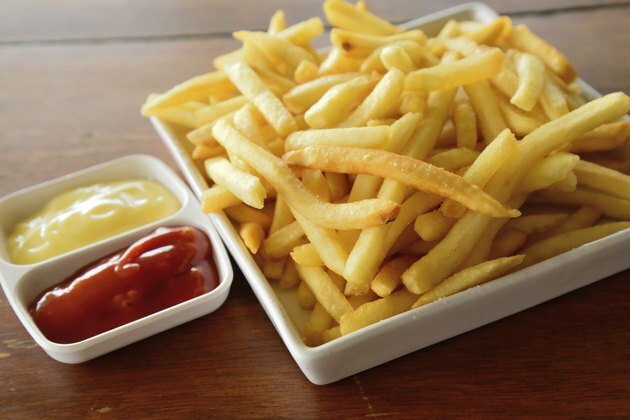 To avoid these risks stay away from particularly salty foods, such as potato chips, french fries, pretzels, processed meats, soy sauce and canned foods. Low-sodium alternatives include air-popped popcorn seasoned with natural herbs, homemade soup and fresh, lean meats. Avoiding foods rich in added sugars may also help improve inner ear fluid balance, according to the VDA. Common sugar-rich foods include candy; milk chocolate; frozen desserts; pancake syrup; frosting; and commercially baked cakes, pastries, cookies and pies. Beverages high in added sugars include regular soft drinks, energy drinks, blended coffee drinks and sweetened fruit juices. 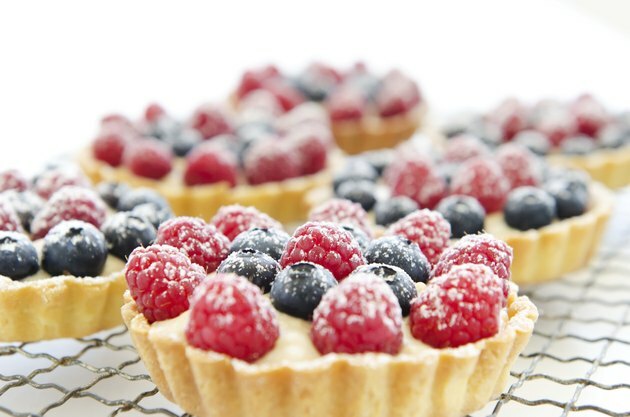 Naturally sweet foods, such as fresh and frozen fruit, provide nutritious alternatives. Tyramine is an amino acid that triggers migraines, or severe, long-lasting headaches. Migraine triggers can also disrupt inner ear function, leading to vertigo and other Meniere's disease symptoms. 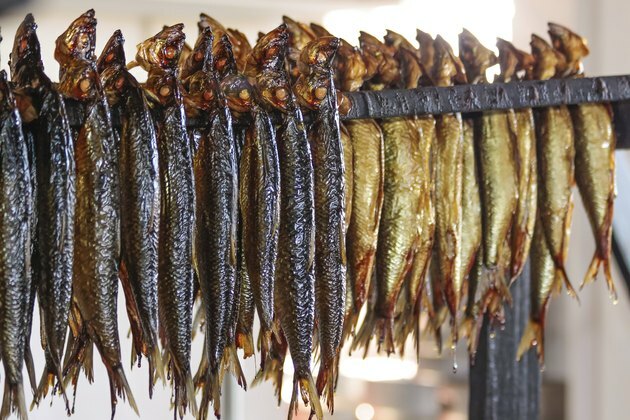 Common sources of tyramine include aged cheese, smoked fish, chicken livers, some beans, figs and red wine, according to the University of Maryland Medical Center. Low-tyramine protein sources include fresh lean meats, fish and tofu. Because alcohol can change the volume and composition of inner ear fluid, avoiding all alcoholic beverages may also help manage your symptoms. 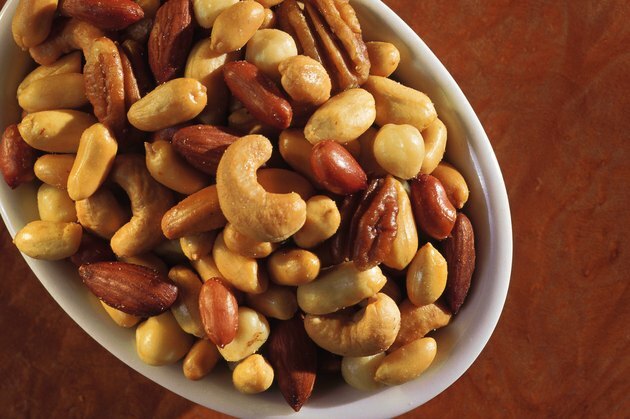 Nuts, although a nutritious fat source, may also trigger migraines and related inner ear symptoms. If nuts seem to worsen your symptoms, avoid all nuts, nut butters and other items that contain nuts: candy bars, stir-fries, ice cream, trail mix and pies. Certain fruits, including bananas, citrus fruits and avocados, may have similar effects. To maintain a strong immune system, consume a variety of other fruits and vegetables, such as berries, tomatoes, leafy greens, bell peppers and squash.